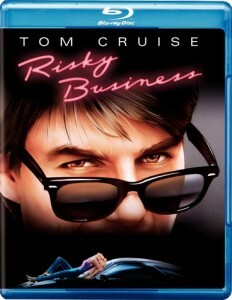 Commentary track with director Paul Brickman, producer Jon Avnet and star Tom Cruise. A retrospective 25 minute documentary with thoughts from cast and crew (Paul Brickman, Jon Avnet, Tom Cruise, Rebecca DeMornay, Bronson Pinchot, Joe Pantoliano and Curtis Armstrong). You’ll also hear from Cameron Crowe and Amy Heckerling (director of Fast Times at Ridgemont High and Clueless).